So far, this has been a rather frustrating week. Remember the baby sweater? 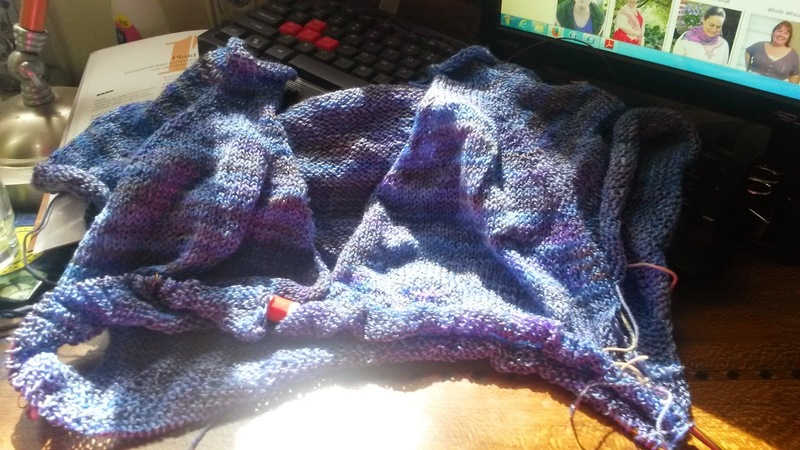 All the pieces are knit, and all the extant ends woven in. 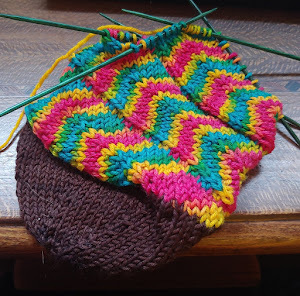 Next is the duplicate stitch to form the plaid pattern. 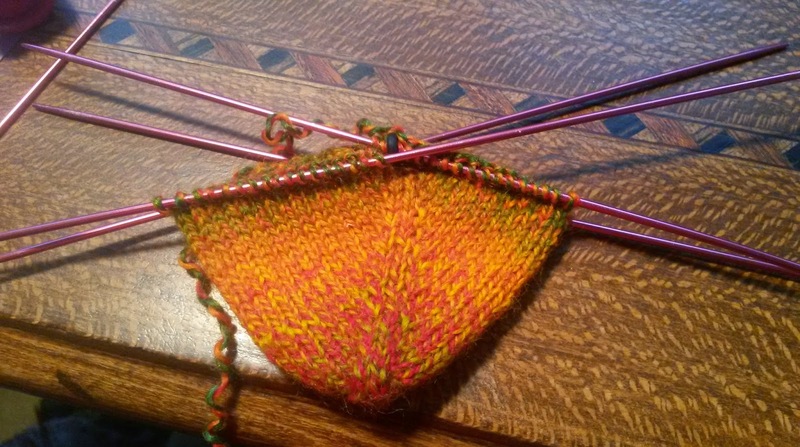 At first, I thought this would be a doddle, as I could use the crochet hook method (explained very nicely here), but it turned out not to be workable. (The crochet stitches spread the knitting too far and make it look funny.) So now I am duplicate stitching, stitch by tedious stitch. It is customary at this junction to request that others send alcohol, or chocolate, or whatever the knitter's personal vice may be, but in this case I don't think that legal stimulants will cut it. Send methamphetamine. as I finally accepted that it was going to be too big to fit the intended recipient. 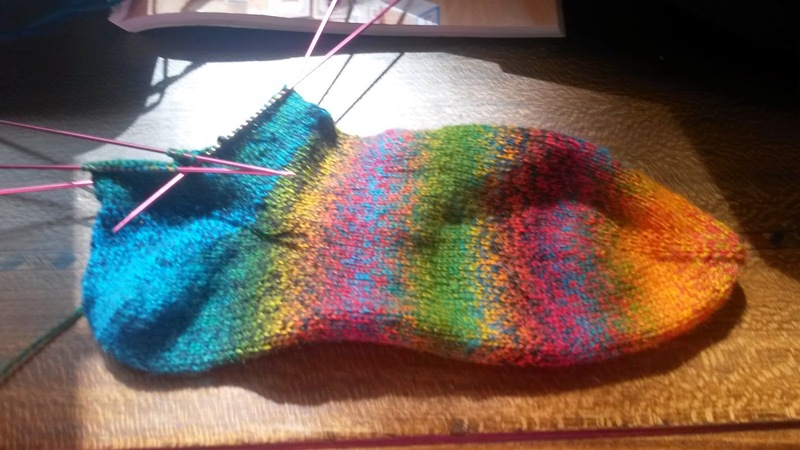 The good news, I suppose, is that eight fewer stitches will be that much quicker to knit. But!! And finally, I have hauled out a UFO that is positively ancient, by my standards--it was begun in March 2012. 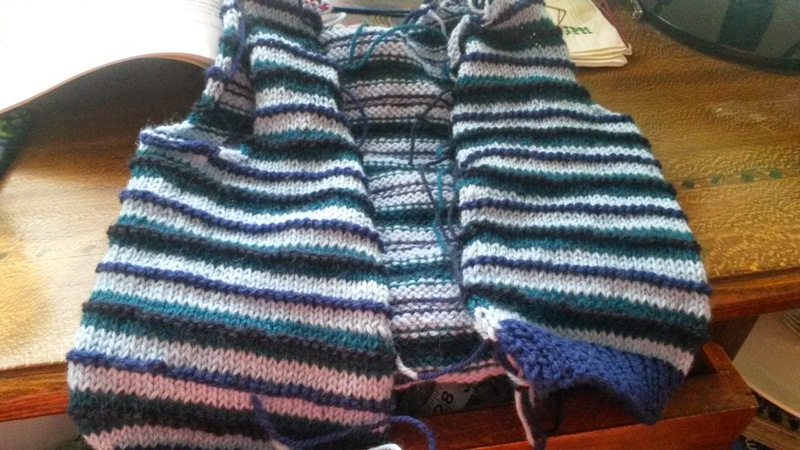 It's a top-down raglan sweater (read: boring), and I don't really like it? 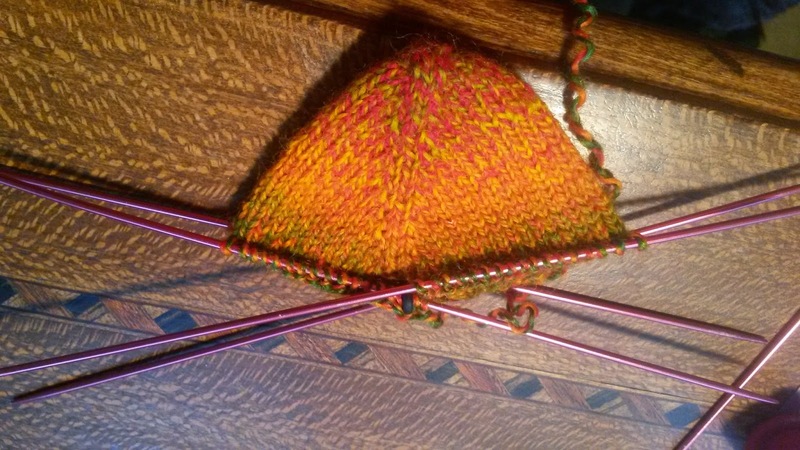 I think I will like the finished product, but the knitting of it is tedious, and I didn't do a very good job with the pattern. I feel like casting on something very easy and bulky, just so I'll have the satisfaction of finishing it.